Once in the debugger, you can dig into detailed logs, such as this one exposed via Events, to understand the root cause of your problem. You can set your own Alert triggers via the console. 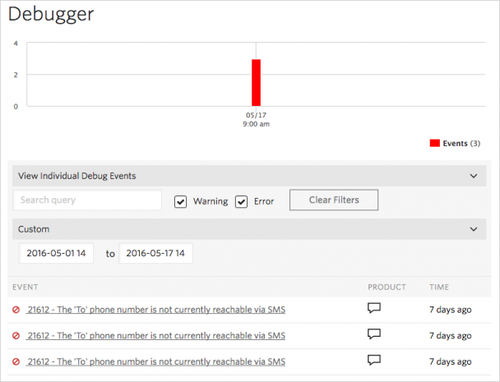 These will notify you via webhook or email when an error occurs on your account. 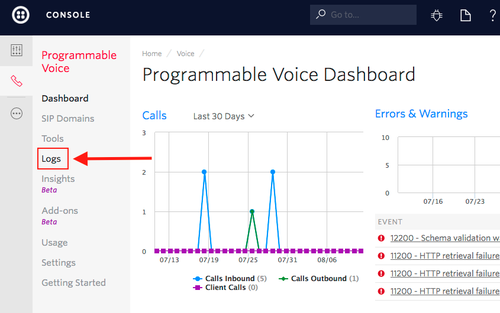 Once you’re in your voice logs, find the call where the problem occurred. 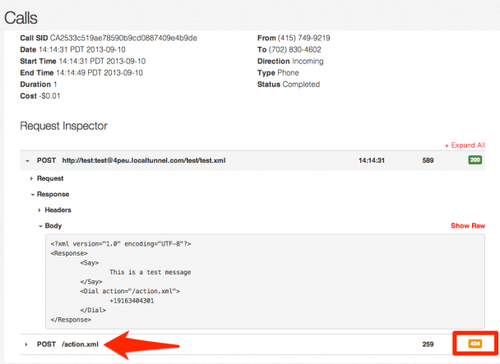 Click the hyperlinked date to dig down into the details for this call. Now we can inspect the request! 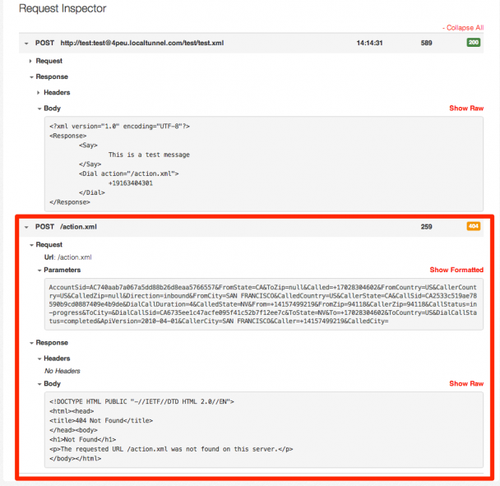 The request inspector shows all requests and responses made during this call. You can easily see errors on requests by the color-coded status on the right of a request. Click on `Request` to expand the information. All Twilio-generated error codes are documented here. Find your error code and dig into causes and possible solutions. 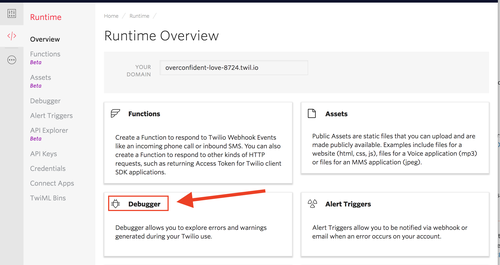 An 'application error' means that the code Twilio is trying to fetch at the URL specified on your servers is either unavailable or has errors in it. You can check the URL for a given phone number via your console or within your application's instructions for handling a call. Note: Your server must be publicly accessible for Twilio to reach it. If you're building and testing locally, we recommend you use ngrok for testing your webhooks. 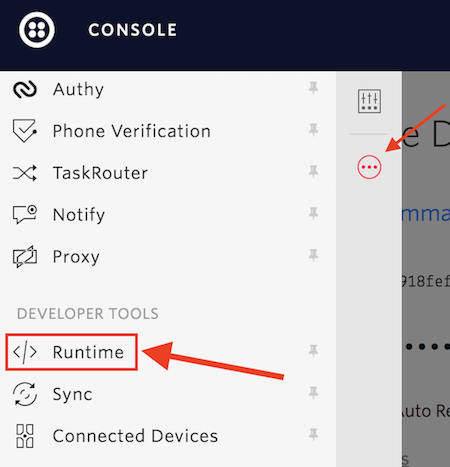 You can follow this guide to learn how to use ngrok with Twilio. If the issue happens only intermittently, it may be due to environmental factors or the style of use from a particular user. Try to see if there is a particular user, phone or location that experiences this issue more often. For more help implementing <Gather>, please see this guide. 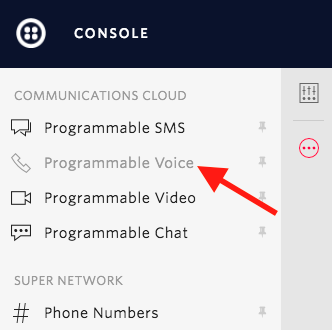 Twilio supports calling worldwide, but international permissions must be explicitly enabled. You can enable international permissions here. If your account is not yet set up for international dialing, you should request access. After your account has been granted access, revisit the Global Permissions page and enable any country you wish to call. 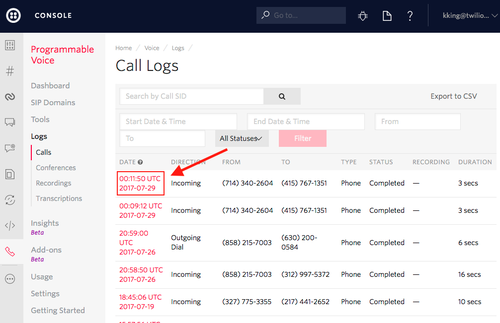 You can always check the real-time status of Twilio systems via the Twilio status page. If anything is wrong on our end, you'll see it there.